Lenovo at E3 2018 unveiled a new range of its Legion gaming PCs. The new range includes the Legion Y730, Legion Y530, and Legion Y7000 notebooks as well as the Legion T730 and Legion Y530 towers and Legion C730 and Legion C530 cubes. Each new model is touted to have improved thermals to deliver a cool gaming experience. Also, the Chinese company has provided eighth-generation Intel Core processors along with Nvidia graphics. 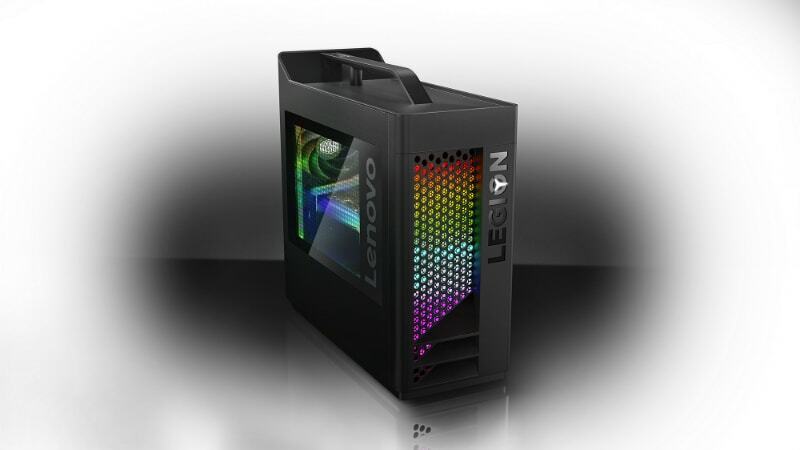 The new series of Legion computers is primarily targeted at entry- and mid-level gamers. The 17-inch Lenovo Legion Y730 comes with a starting price of $1,250 (roughly Rs. 84,400), while its 15-inch model starts at $1,180 (roughly Rs. 79,600). Both these models will go on sale in the US in September. The 15-inch Legion Y530, on the other hand, is starting at $930 (roughly Rs. 62,800) and will be available later this month. The Legion Y7000 will go on sale at $960 (roughly Rs. 62,800). In addition to the notebooks, the Lenovo Legion T730 tower is starting at $930 (roughly Rs. 62,800) and Legion T530 at $830 (roughly Rs. 56,000). The Legion C730 comes with a starting price of $930 (roughly Rs. 62,800) and the Legion C530 is starting at $830 (roughly Rs. 56,000). All these models will go on sale in August. 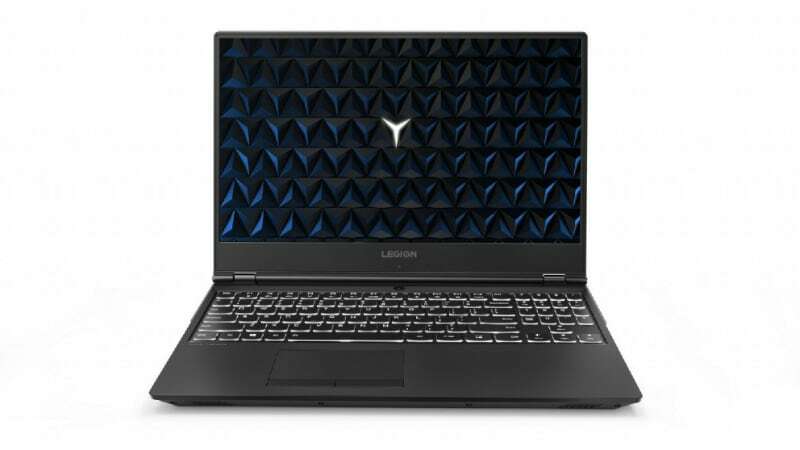 Among other new Legion series notebooks, the Lenovo Legion Y730 comes in 17-inch and 15-inch display options and has optional 16GB Corsair DDR4 RAM. The notebook is also claimed to be the world’s first gaming laptop with a Corsair iCUE RGB backlit keyboard and system lighting. The keyboard also includes six custom macro “Y” keys. Further, it is made of aluminium – anodised in Iron Gray colour and includes Dolby Atmos speaker along with Dolby Sound Radar. The Lenovo Legion Y530, in contrast, has a top cover texture that radiates out from the letter “O” in the Legion logo. The Legion Y530 has only the 15-inch display option – identical is the case with the Legion Y7000. All the new Legion series notebooks have Intel’s eighth-generation processors, come in either Core i5 or Core i7, that are over-clockable, coupled with Nvidia GeForce GTX1050TI graphics. The notebook models also have a new dual-channel cooling system with larger blades. Lenovo claims that the new cooling system offers 10 percent cooler system temperatures than before and improves the airflow by 16 percent. Additionally, the notebooks have USB Type-C, HDMI, Mini DisplayPort, Ethernet, and a USB-A 3.1 on the part of connectivity. Similar to the Legion Y530 notebook, the Legion T530 has the subtle top texture radiating out from its power button. The tower has red lighting behind its thermal venting. Contrarily, the Lenovo Legion T730 has a full internal and external RGB system lighting behind a clear window on the side. Both new tower PCs have up to Intel Core i7 processors, paired with Nvidia GeForce GTX 1060 graphics. The Legion T730 also has optional 32GB DDR overclocked Corsair Vengeance RAM and up to two 512GB PCIe RAID 0 SSD or 2TB SATA HDD. There is also Dolby Atmos integration, and the Legion T730 comes with an optional Asetek liquid cooling. Lenovo has designed the new Legion series towers with tool-free upgradability that lets gamers tweak the hardware by easily swapping out the graphics or RAM at a press of a button. There is also sufficient internal lighting to ease the upgrade process. Unlike the new notebooks and towers, the Legion C730 and C530 cubs are designed for gamers who need a lightweight, space-saving form factor. There is a 19L Iron Gray chassis on both cubes. The Legion C730 has a transparent top panel with an optional RGB system lighting, whereas the Legion C530 has a clean red LED system. The Lenovo Legion C730 is powered by up to eighth-generation Intel Core i7 processor, paired with optional overclocked 32GB Corsair DDR4 RAM. The company has also provided Dolby Atmos integration and a VR-ready gaming experience out of the box. Furthermore, the new cubes have a dual-channel thermal ventilation system.